The second phase of the Zero Carbon Resorts (ZCR) for Sustainable Tourism Program is expected to tap greater support from the national government, the Department of Tourism (DOT) said Wednesday. DOT together with it attached agency, Tourism Infrastructure and Enterprise Zone Authority (TIEZA) made this assurance after it inked last month an agreement with GrAT, a non-profit scientific research association based in Vienna University of Technology to jointly implement Phase II of the ZCR program. GrAT or Gruppe zur Forderung der Angepassten Technologie, will provide the technical expertise in conducting various information drives as part of the requirements of a Philippine Green Tourism Certification Scheme. These drives, which are part of the ZCR program, will include focus group sessions, green technology training, test runs, and public consultations. The program is meant to transform tourism establishments and facilities in the Philippines into Green Tourism Certified businesses and help small and medium enterprises (SMEs) in the tourism sector curb energy and resource consumption, and carbon footprint. There are five potential sites to become Zero Carbon Resorts (ZCR) learning namely are Cebu-Bohol, Davao, Batangas-Puerto Galera, Boracay, and Manila-Tagaytay. These places will all benefit from trainings and other relative information on ZCR methodology to be conducted until July this year. The first ZCR sharing session of Phase II was held for the Manila-Tagaytay zone in March this year and was attended by 88 representatives from accommodation and restaurant establishments, green suppliers, green financing institutions, and tourism associations based in NCR and Calabarzon. Phase II, which will focus on capability building and evaluation, will be implemented from 2016 until 2018. While Phase I was implemented 2011 to 2013. Undersecretary for Tourism Regulation, Coordination, and Resource Generation Maria Victoria Jasmin said Phase II of the program will work on accomplishing more than what the first phase had delivered. Jasmin said the program has already started the development of a Philippine Green Tourism Certification Scheme based on the ZCR principles. Representatives from the DOT and TIEZA have also been undergoing Capability Building Program/Training for the Green Evaluation in accordance with the established guidelines of the Green Tourism Certification Scheme. “This second phase of the program seeks to tap greater support from the national government on policy development for sustainable consumption and production in tourism, and potential funding for green investments, development and technical solutions,” Jasmin said. “Greening the industry can mitigate the impact of our tourism business. The implementation of available solutions for better resource efficiency can help tourism entities save resource consumption and costs,” she added. 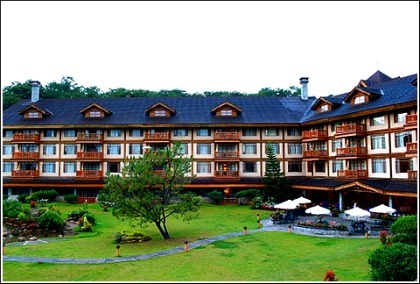 Tourism Standards and Regulations Director Maria Rica Bueno said that three DOT-accredited hotels and resorts namely Daluyon Beach and Mountain Resort in Palawan, The Manor at Camp John Hay in Baguio City, and Amarela Resort in Bohol have already garnered international recognition from the 2014-2016 ASEAN Green Hotel Awards.